Will you take this “SMARTPHONE” as your lawfully wedded partner, to love and to hold? machine learning to not only detect an object but understand what it detects and offer actions based on what it sees. It enables you to do things such as point your phone at something, such as a specific flower, and then ask Google Assistant what the object you’re pointing at is. You’ll not only be told the answer, but you’ll get suggestions based on the object, like nearby florists, in the case of a flower. can also tell you what species and classification is an animal or plant. 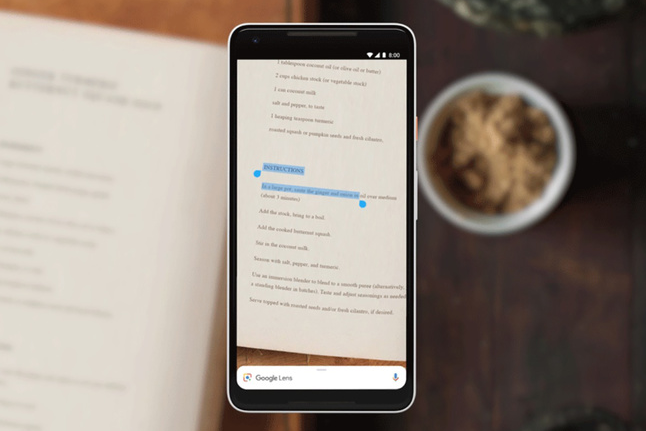 You can point your phone’s camera at the text, then highlight that text within Google Lens, and copy it to use on your phone. So, for instance, imagine pointing your phone at a Wi-Fi password and being able to copy/paste it into a Wi-Fi login screen. When you highlight text in Google Lens, you can also search that text with Google Assistant. This is handy if you need to look up a definition of a word, for instance. If you see a dress you like while shopping, Google Lens can identify that piece and similar articles of clothing or even household decor in order to serve up relevant reviews and shopping options. If you point your camera around you, Google Lens will detect what kind of plants are nearby, what kind of animals are roaming around, what the reviews of the movie out on the cinemas. Overall you stand to do less with a dependable and assured partner sticking with you all day and night. so the questions remain why wouldn’t you choose the Infinix Note 5?